After a long hard day’s work, the last thing you want to do is a bit of DIY. However now and again it is important that you partake in the maintenance of your joinery. This is especially the case for rental properties. It may seem like an annoying inconvenience, but if you don’t follow the guidance in this blog post, then you will end up regretting it. 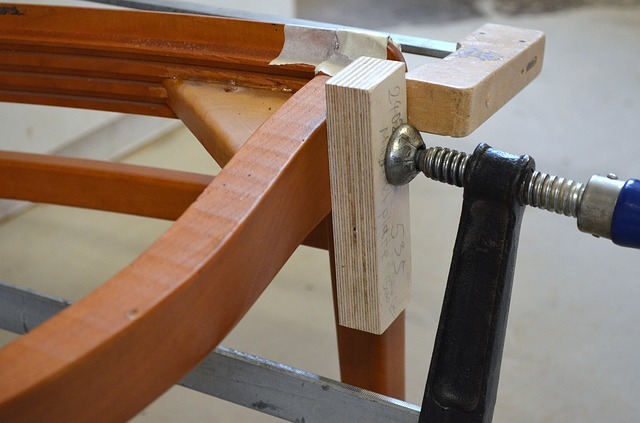 Why is the maintenance of your joinery important? Well, you need to make sure that your stairs, doors, windows, and alike are looked after so that their beauty is kept intact. By doing this you will increase the life of your joinery and you will ensure that it is strong, durable, and doesn’t lose its original appearance. If you don’t carry out maintenance then you can find yourself faced with extortionate restore, repair and replacement bills. What about if I want to let my property? Is it still my responsibility? Yes, it is, unless your tenant breaks something! You don’t want to leave it to get to this point because nobody wants to have to pay extra money for such a service. You will kick yourself if you don’t care for your joinery and then your door loses its colour and cracks for example. You will have to pay for this to be restored back to its original state. All of this could have been avoided if you had maintained the door in the first place. When it comes to your joinery the main thing you need to make sure you maintain is the coating. This does not merely relate to a quick coat of paint now and again. This consists of everything relating to the coating as a whole. Therefore you need to concern yourself with all aspects, including the likes of weather seals. Every property is different and therefore you may need to maintain your coating system more frequently than others. Generally, this depends on the weather your property has been exposed to and the quality of your joinery. If your home is exposed to a lot of rain and other harsh conditions then you may find yourself needing to tend to your doors, windows, and alike a little bit more frequently than others. Make sure that you are aware of the paint used and whether any other seals or glosses were applied. If you haven’t managed to take note of this when the joinery was installed then you should be able to ring up the company and ask them. It is likely that they will have set procedures and products and therefore they will be able to help you. If you are noticing that your joinery is losing its beauty or is starting to become a bit damaged and you do not know what to do yourself then get in touch with a joiner. Nobody wants to spend money unnecessarily, but if you do not get it sorted soon then the damage will only grow and grow. And, this means that the price tag will only grow and grow as well. If you partake in regular maintenance and pay specific attention to the coating system then you should definitely extend the life of your joinery and maintain its beauty as well.